As mentioned before, its hard to say if this matte grey dial belongs with this 16800(0) reference. 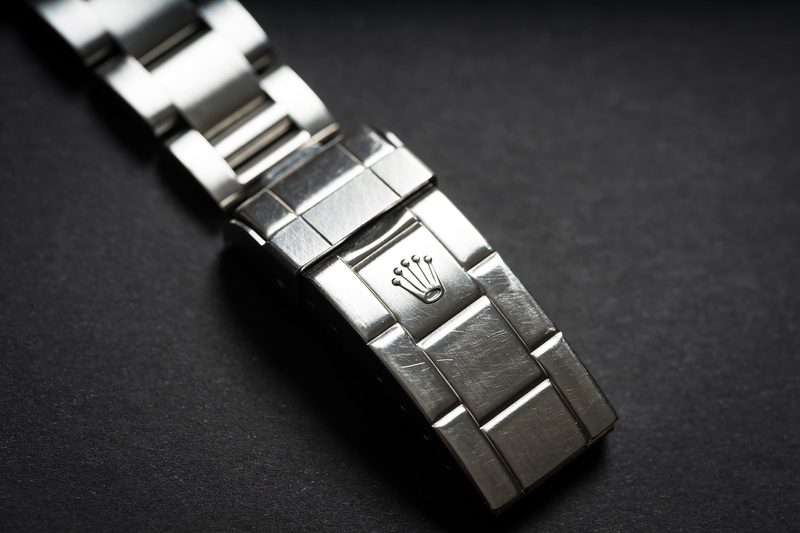 A lot of discussion has been going around the different Vintage Rolex Forums with both supporters and opponents of this dial. Some say the last matte black dial was produced for the 16800 reference and with the introduction of the 168000, all dials were produced with a gloss black finish. 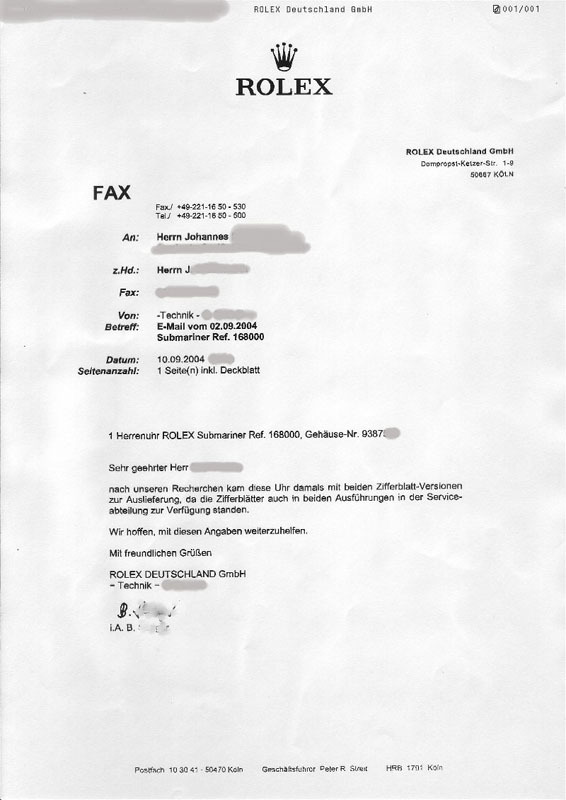 However, its hard to ignore the Letter from a German Rolex Service Center (please click here) in which it is written that at the Rolex Service Centers, both matte black and gloss black dials exist as replacement parts for these Submariners, disproving the opinion from opponents on this issue… Whatever your opinion, you have to admit that the dial looks amazing and this makes for a wonderful ‘Transitional’ Submariner with the best of both worlds – vintage appearance with modern techniques. The 16800(0) was only produced for roughly nine months! 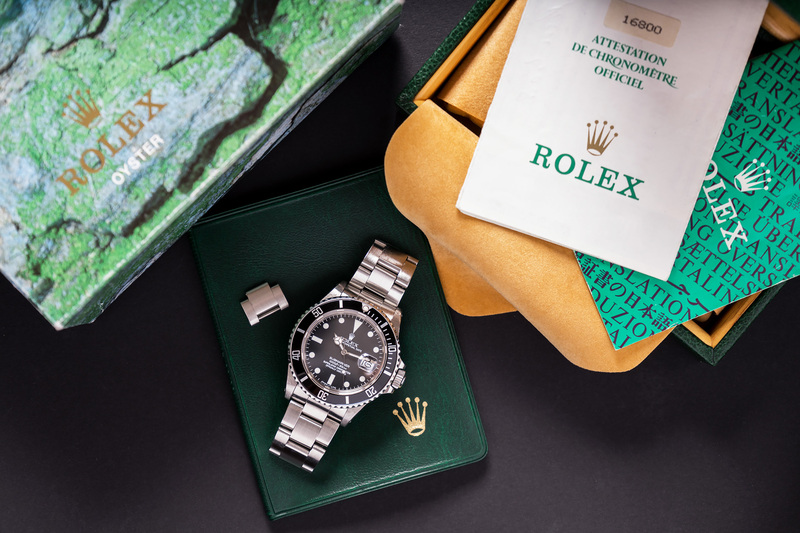 making it the most rare Rolex around production wise. 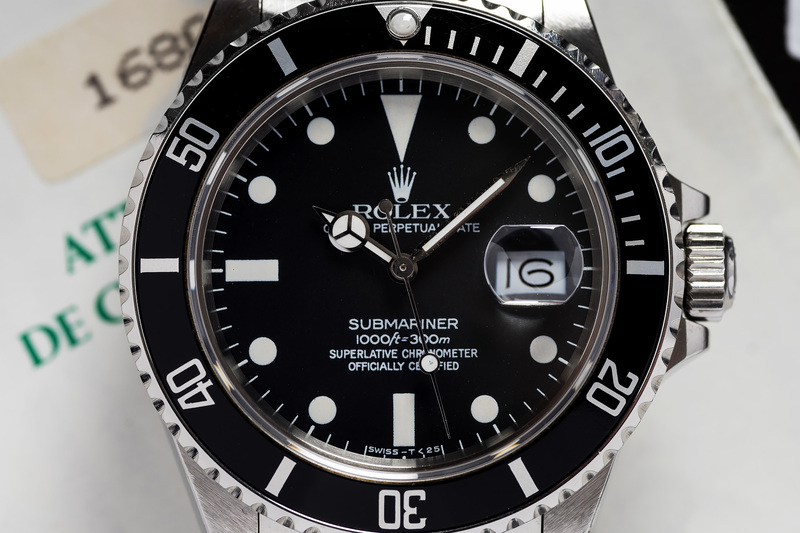 The extra zero in the reference was added because of the fact that Rolex changed the stainless steel for the production of the 168000 Submariner. 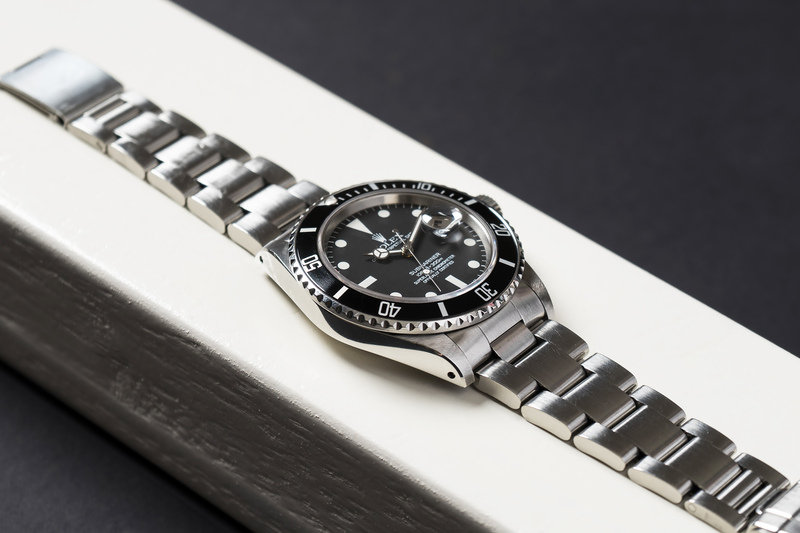 The 168000 is manufactured from 904L stainless Steel making it more acid and corrosion resistant that the 316 stainless steel made submariners (16800 1680 etc.) which was the standard stainless steel used up until that point. Besides the beautiful matte grey dial, the 904L stainless steel case is in a 100% unpolished condition! Its not ‘refreshed’ or welded and re-cut. A true connoisseur will know, and notice the difference. 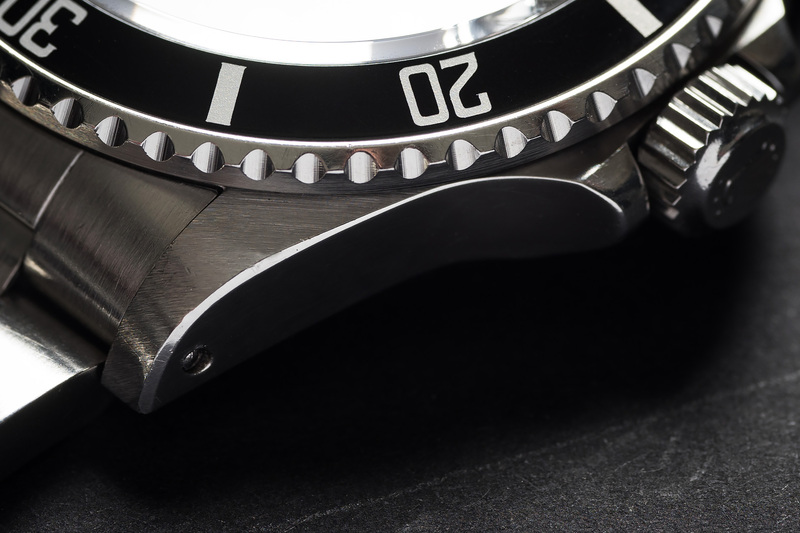 Please take a look at the macro shot of the watch its lugs and the side of the case, absolutely beautiful and original. This 16800(0) is accompanied with its original boxes, punched and stamped warranty (Wempe, Germany) service booklet and spare link to the 91250 bracelet. 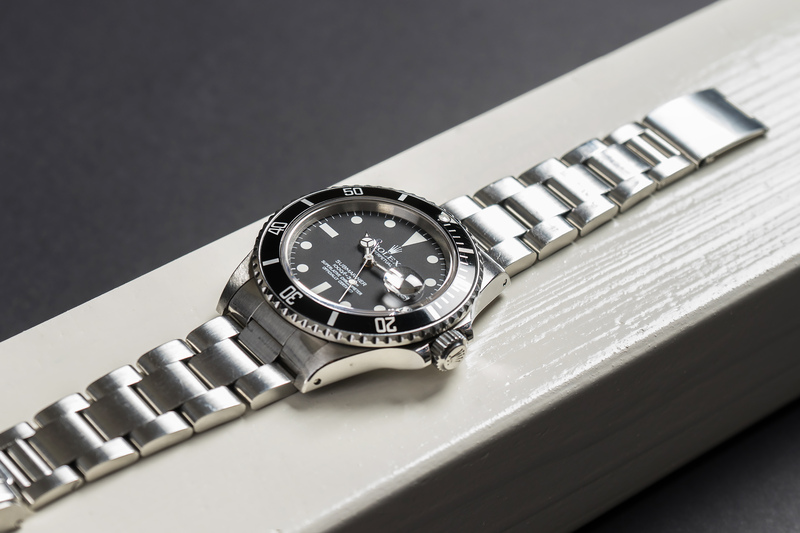 This killer Submariner was serviced by our watchmakers and will be delivered with a twelve month warranty.